Move In Ready Home! 4 BR home w Fresh paint inside & out. Stunning kitchen w loads of granite counters. Full SS appliances. 2 pantries. Very generous master bedroom w deluxe bath, dual sinks, separate shower & tub. 2 walk in closets. Formal living & dining room in front of house. Family room, breakfast nook & kitchen in rear. All tile floors. Window horizontal blinds stay. Cathedral ceilings. Upgraded fans stay. Front roof covered porch. Check out the cavernous Florida room/screen porch. Fenced yard. 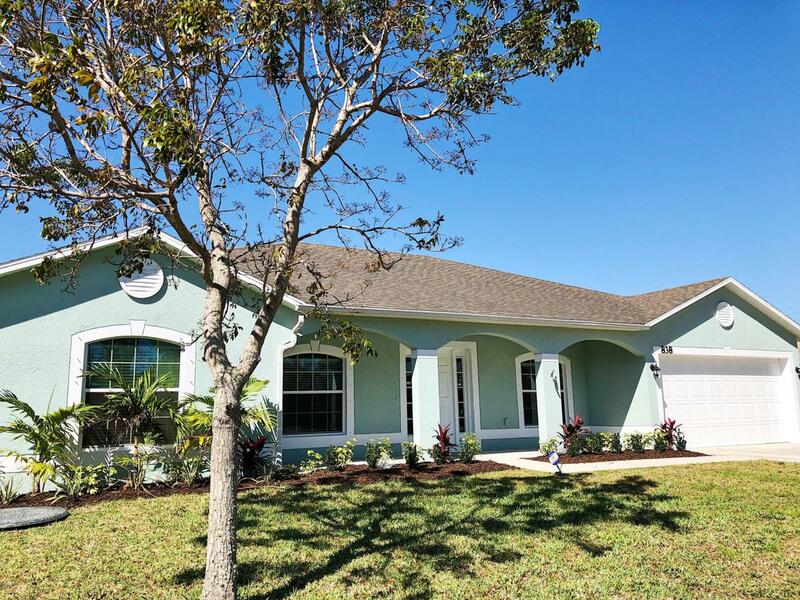 Don't miss this move in ready home close to US 1 & Crosstown Parkway.